Maximum wheel weight 140 lbs. 70Kg. Weight 308 lbs. 140 kg. 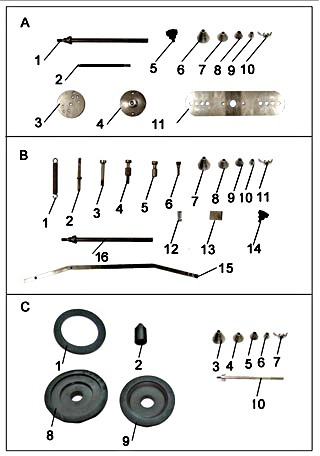 Motorcycle kit "C" is normally furnished with Motorcycle balancer. Kit "A" and kit "B" are optional. 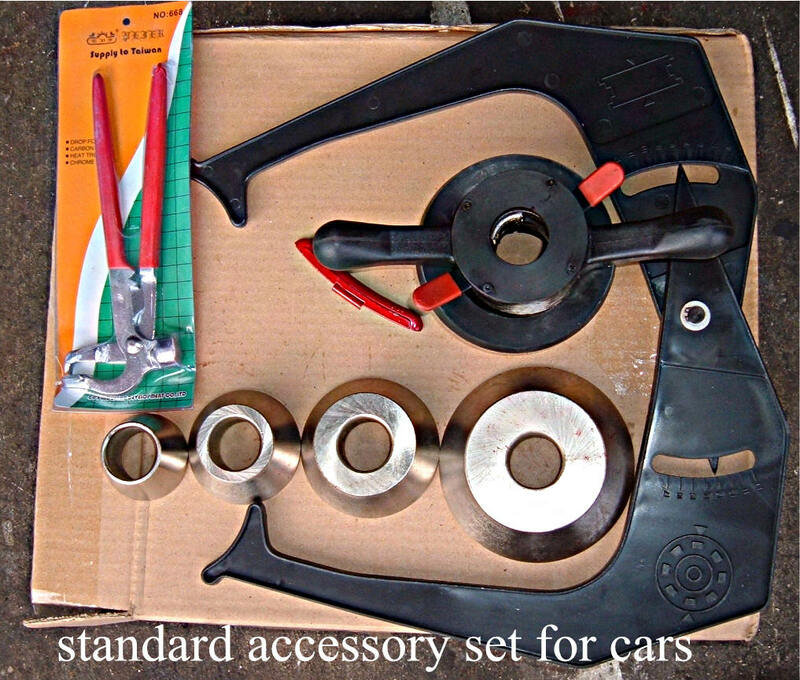 Not a car changer with adaptors. Since 1958, Ravaglioli has been a byname for experience, evolution and technology. The company's top-quality products have marked its history over the years. 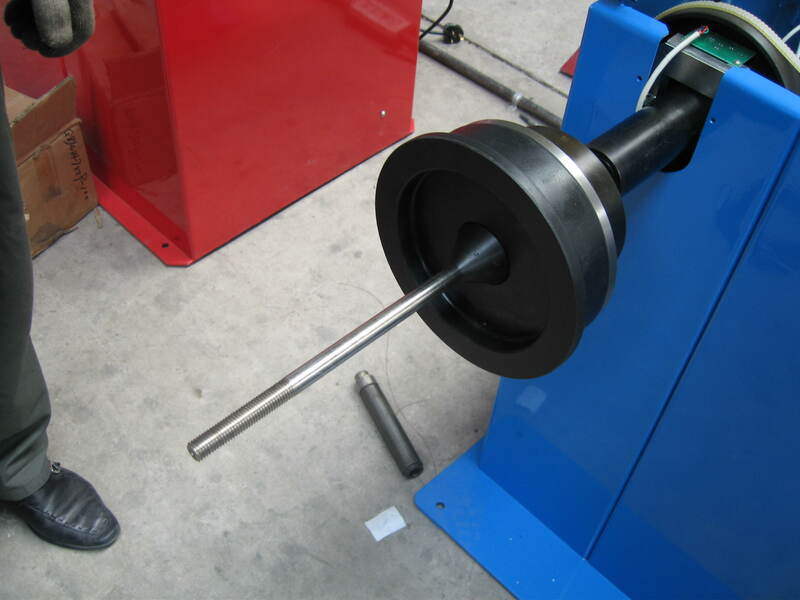 Safety, compliance with international standards, ongoing and stringent tests are all part of the Ravaglioli approach to equipment design, devised to fully answering the needs of operators in the automotive field. For over forty years, the Ravaglioli brand has successfully accompanied every stage of garage workshop operations, from vehicle repairs to controls and inspections. 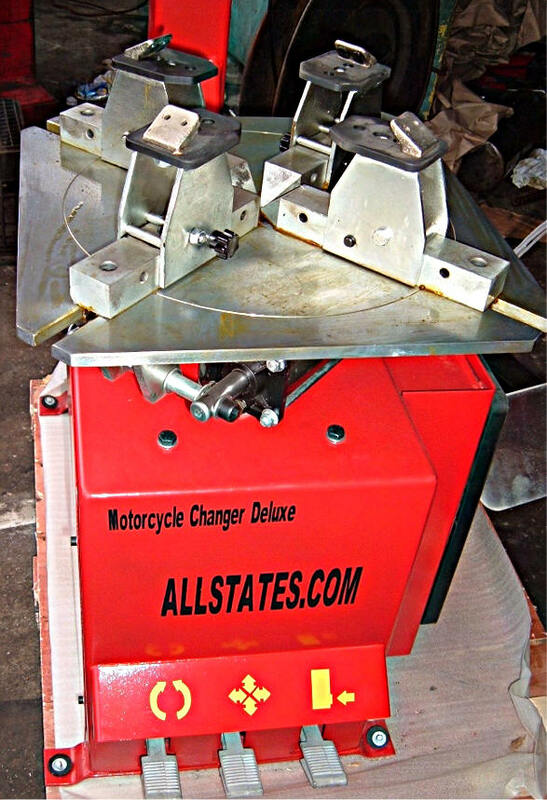 Heavy duty support structure to guarantee proper working conditions at all times. 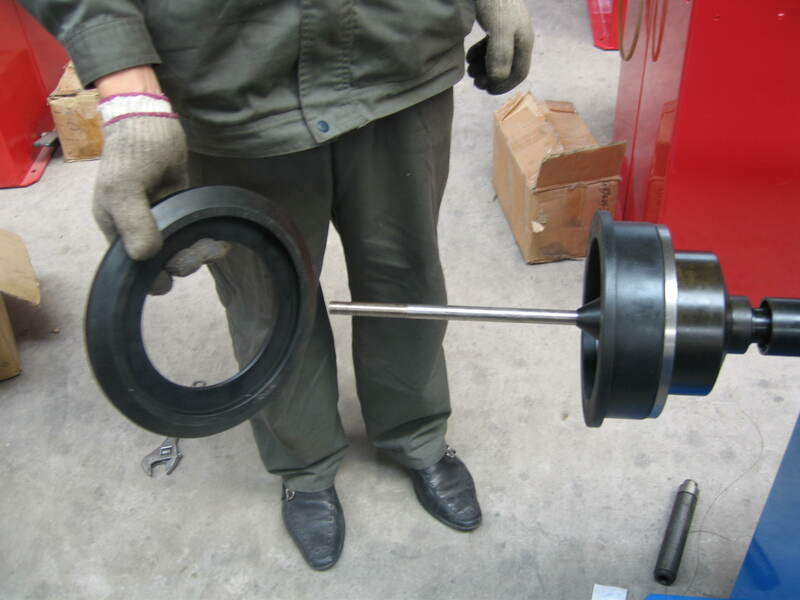 - Rigid self-centering chuck and wide clamping range: 9.5»÷18» external, 11.5» ÷ 20.5» internal. 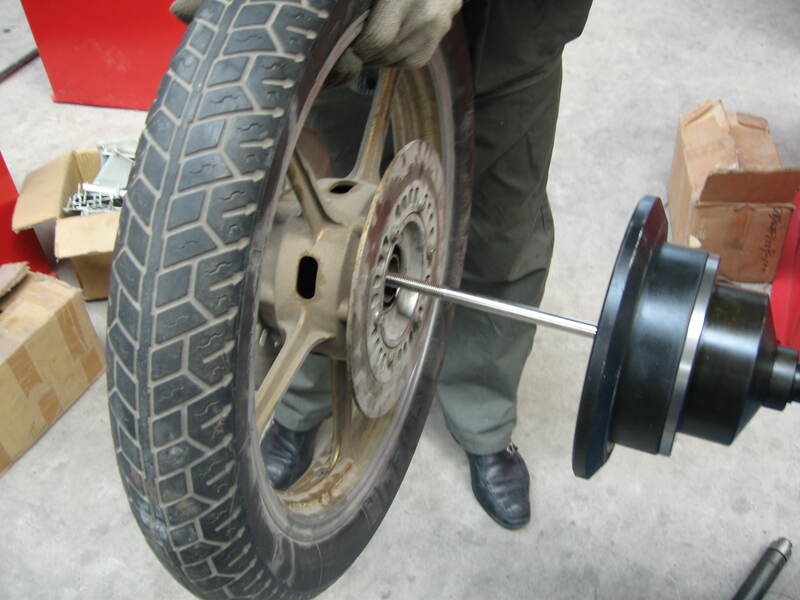 Tyre changers for cars, motorcycles and light commercial vehicles. The rear of the unit is free from fittings to allow installation in confined space, thus making it the ideal solution for customers requiring a product which is simple, reliable and economical (garages, service stations, etc.). SELF CALIBRATION IS BUILT IN. 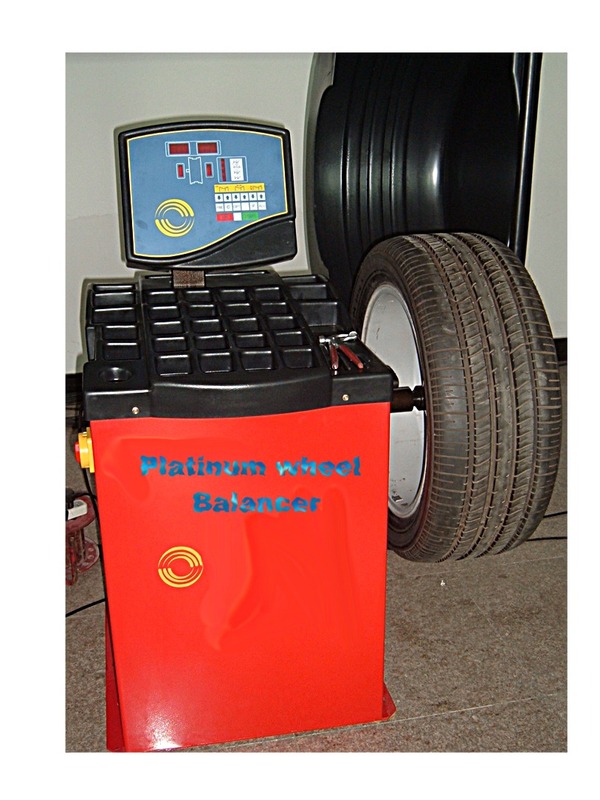 5 BALANCING PROGRAMS: NORMAL, STATIC, AND 3 DIFFERENT ALUMINUM WHEEL MODES. READS IN OUNCES OR GRAMS. ACCURATE TO 1 GRAM. 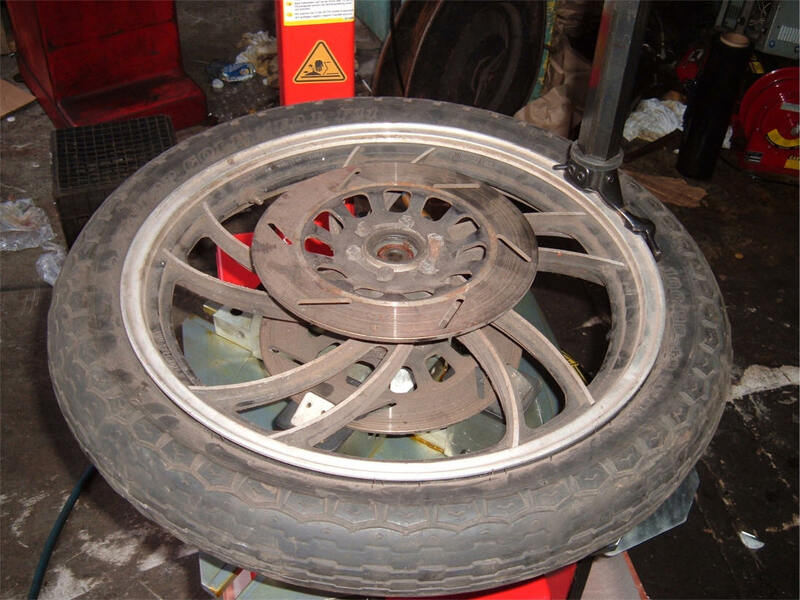 MAX WHEEL WEIGHT = 60KG. 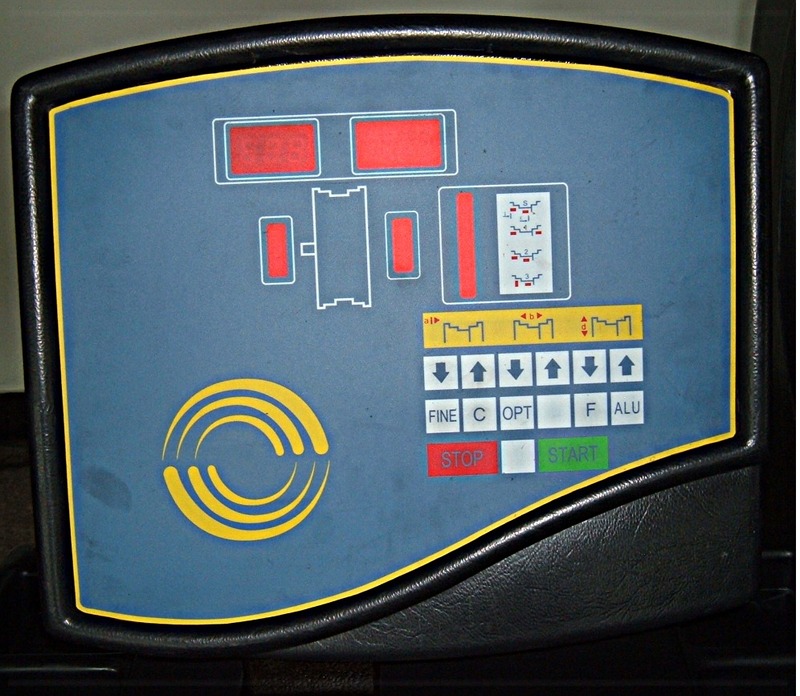 The self-diagnostic program prevents errors in operation. Display readout of imbalance and positions. The display clearly indicates when sufficient speed is reached for measuring. 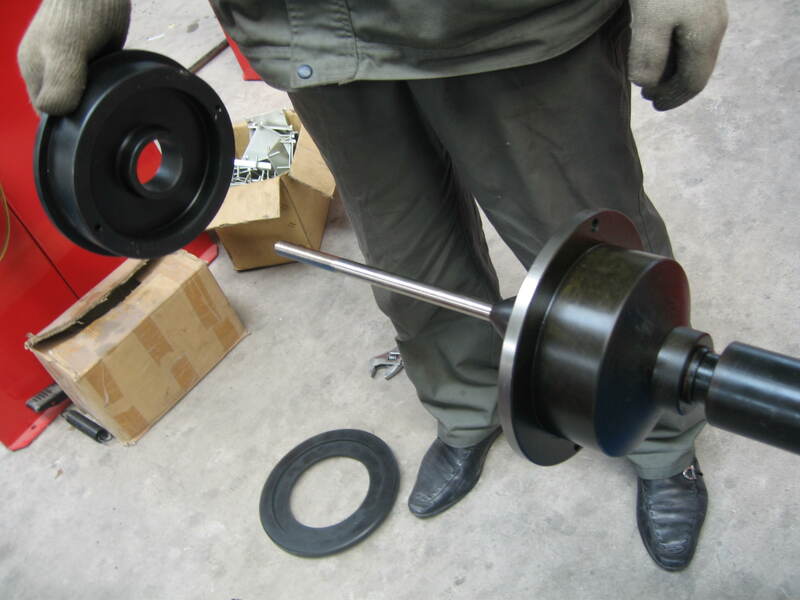 Wheel diameter and width are displayed in inches or millimeters. Out of balance values are displayed in grams or ounces. 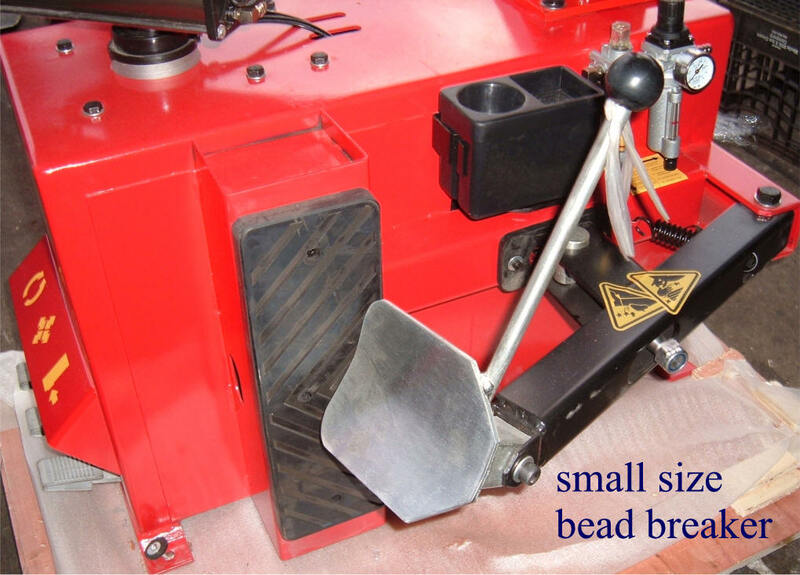 Pedal brake. 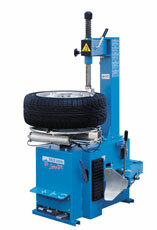 This compact and simple wheel balancer performs all the functions of the most expensive machines. 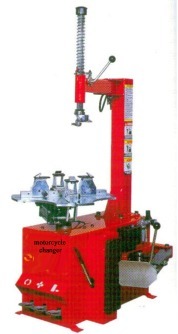 It is designed for easy and accurate balancing of wheels for motorcycle, passenger car and light commercial vehicles up to 60 kg of weight. 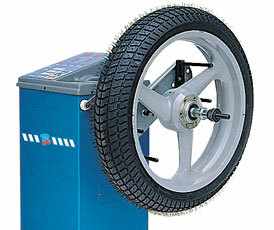 The wheel is started by hand crank or by a gentle hand spin on the tire tread. One single spin with low speed provides all the values. 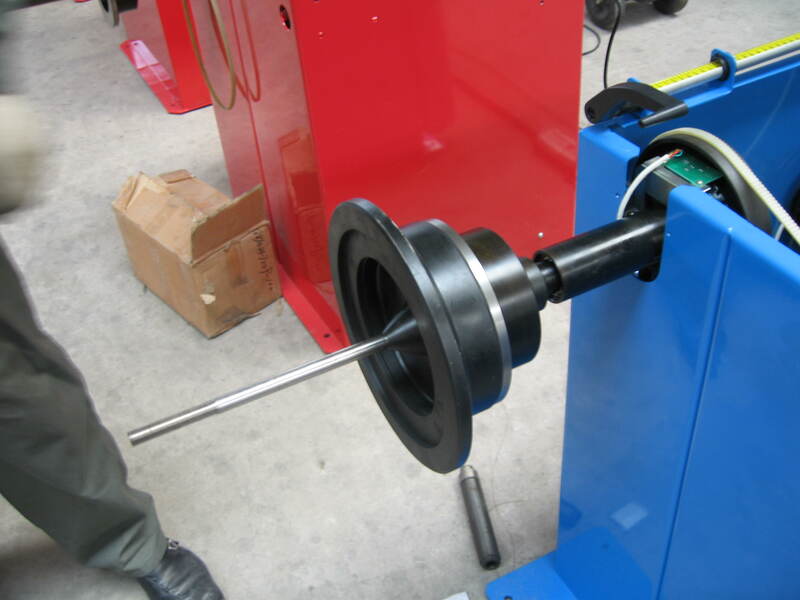 Microprocessor controlled wheel balancer with self-calibration and self-diagnostics. 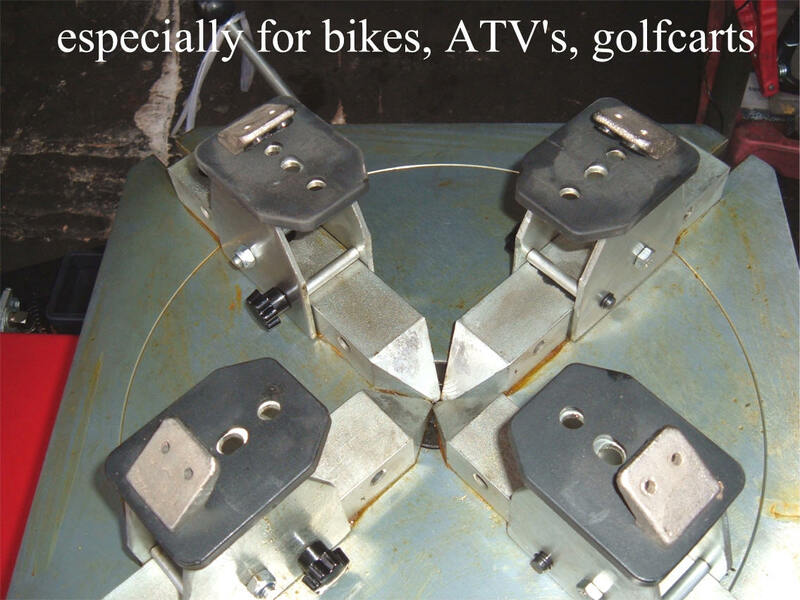 Specific balancing programs for static (motorcycle wheels) and ALU wheels (light alloy). 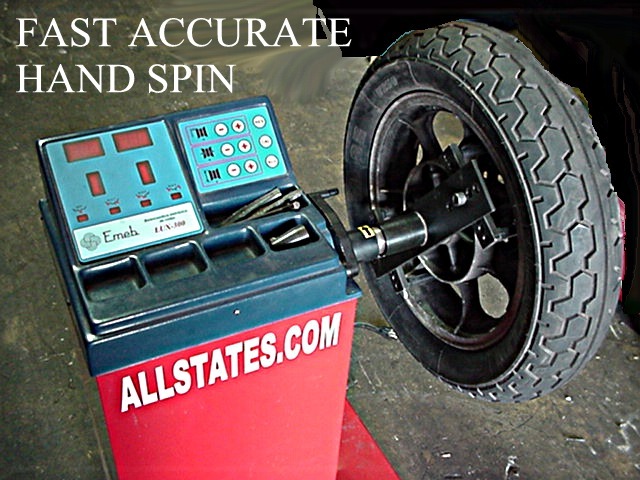 The self-calibration program is easy and rapid and does not require a balanced wheel.